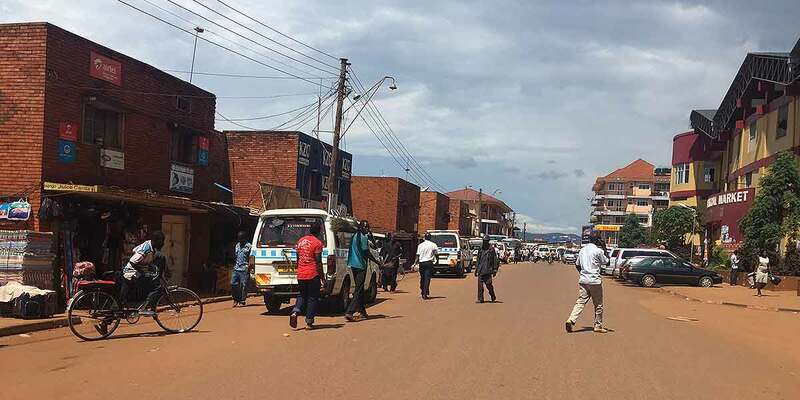 Jinja began as an urban settlement in 1901 and gained the status of a municipality in 1957. Jinja has grown to be the second largest urban center in Uganda with significant economic importance to the nation as well as the region. In 2007, the town celebrated her jubilee as a municipality and its centenary as an urban settlement. It is also during this year and as culmination of the celebrations that the CDS process was initiated in 2007 by the then Mayor Mr. Kezaala Mohammed Baswari. This was conducted with technical guidance and funding from the partner, UN Habitat under the Lake Victoria Cities Development Strategies Program which ran from 2002-2010. The Mayor mobilized the support of municipal technical and political elective staff, to see CDS as new way for collective, holistic, proactive, and long-term strategic planning. Jinja’s vision, developed through city-wide stakeholder consultations during development of their CDS, was to “be a sustainable and prosperous city with excellence in tourism, commerce and industry”. The CDS process has encouraged municipalities to shift to a more decentralized and participatory planning progress. Although the funding for CDS was inadequate and the supporting programme ending in 2010, the Jinja Municipal Council have adopted to incorporate some of its CDS-related activities into their municipal development projects, including becoming aware of alternative means of accessing funding, other than the central government. In Jinja, the CDS planning process attracted the participation of various urban citizens. During consultations in developing the CDS, for example primary level school children participated through debates held on the theme, “The Jinja We Want” and high school children tackled the same theme by writing essays. Adults from the community took part in workshops to strategically plan for the future. These resulted in projects focusing on tourism promotion, commercial, industrial economy rejuvenation and equitable access, and enhanced service delivery. However, participation by the business community during the initial CDS process was considered relatively low. The overall modest success and sustainability of the Jinja CDS process can be attributed to the driving role the Mayor played. Today, Jinja is experiencing re-industrialization where approximately 50 factories have been (re)established, compared to the eight (8) that were present at the pre-CDS stage. Revenue from tourism is also significantly increasing. For example, revenue collected at a tourist hotspot, the source of the River Nile, has grown from approximately 5-8 million Uganda shillings at the pre-CDS stage, to the current over 30 million Uganda shillings. The business community is also increasingly involved in projects, such as beautification initiatives, rehabilitation of public buildings and other Public Private initiatives in the town. Lack of legal backing: CDS process is not backed by relevant National or Municipal Acts thus this alternative strategic urban planning process is viewed as a separate planning process, including its resulting plans, and is therefore likely to be excluded from the limited central government funding. This results in plans from the CDS process not being fully implemented. However, given the benefits that have been, and could be, achieved from strategic city development processes, The Ministry of Lands, Housing and Urban Development (MoLHUD) and Cities Alliance, Uganda are currently engaging the National Planning Authority (NPA) to explore ways of integrating strategic city planning processes in national planning frameworks at the city, municipality and town levels. The Uganda National Development Plan II (2015/16-2019/20) prioritizes the need for strategic urban planning. Short-term lifespan of current CDS plans and projects: Plans and projects that have emerged from CDS processes in Uganda are based on a five-year vision. This has largely been informed by the national and municipal development plans, which are five-year programs. However, under the on-going Municipal Development Strategies (MDS) program in Uganda, developed MDSs will have a thirty-year vision with five-year implementation plans. This will likely assist in addressing the issue of continuity. Financing: Adequate and ongoing funding is usually a challenge for any CDS process. As trust is established, different funding platforms become available and accessible. Insufficient and inconsistent urban data: Available statistical data on urban issues often present difficulties in establishing trends or useful information that could assist in planning. Gaps can be identified in industrial structure data, fiscal capacity and debt, including data on social issues and urban poverty. Mainstreaming/integrating climate change: Environmental projects are still viewed as stand-alone initiatives and their contribution and/or linkages to urban development are not fully explored and appreciated. In 2014/2015 the MDS program was launched and is expected to run through 2016/2017. Jinja will have the opportunity to review and revise the CDS accordingly, including renewing interest, involvement and commitment from all stakeholders. While external consultants from UN Habitat led the CDS process during the Lake Victoria Cities Development Strategies Program, the current MDS program is locally-led, which provides opportunities for building local capacity in strategic planning processes in cities, creates a sense of ownership among the urban citizens and is expected to result in greater sustainability of the initiative. Source: Preliminary lessons learned from the field: the Case of Jinja, Uganda. (2016).